Who Are The Finalists for the Next Sole Sister? Nearly everyone who sent in their application were able to meet most of the requirements. But as a Sole Sister, you may have to travel last minute on certain "missions". It was a major challenge and a lot of the girls had to back out. Out of the 22, about half were still interested to try out. And to push these future Sole Sisters further on, I told them about the selection process. I will only pick the top finalists and the blog readers will vote for their favorite. I'm one of the co-founders of Punchdrunk Panda who now happily spends most of my time traveling, finding little ways to save the earth, and blogging. I haven't gotten it all figured out. But I'm trying while plant-eating, downward-dogging, reducing, reusing, inhaling, exhaling, doing Breaking Bad marathons, and watching Fight Club for the nth time. Read about my solo 2.5-month trip around Asia on my blog and maybe get moved to action by some of my personal discoveries for the betterment of myself, society, and the planet. I draw, dance, write, and travel! I am a teacher by day, and a scuba diver/ musician/ photographer/ comic book artist by night! I wander the world, in search of inspiration and purpose, creating as much art and music as possible along the way! Recently, I found the wonderful world of blogging, and began sharing my adventures to others through doodles and words! I am a student of life and a lover of beauty. Just like our Sole Sisters Lois and Chichi, I recently left the fun and crazy world of advertising to pursue my other passion, my own art – makeup artistry. And I must mention that it was upon reading a magazine article about them during a flight back from an awesome adventure that my desire to do what I love further ignited. I have another passion that tops my list – travel. The world is incredible, nature is amazing, food is delightful and people are interesting. Everything has a beautiful and moving story to tell and lesson to impart, and I would love to be your storyteller too. The future Sole Sisters have introduced themselves and I think they are all perfect for the post! They fit the profile of a Sole Sister even though they have very unique personalities! So now it's your turn to decide. Let's get to know them a little better next week by checking out their videos. And then you'll find out how you get to help choose the Big Sole Sister! haha, let me guess. brother? do you blog too? Lauren would be my pick. I have met her once and she has that special something that would really stick in your memory. This gal is not afraid to try anything new. Totally fun to be with and she defines ADVENTURE! Thanks for choosing your favorite Jlee! Haven't met Lauren yet but she sure sounds like a fun person to travel with! If you want a spunky, beautiful, hillarious, one of a kind girl to pick it would be Lauren! I have known her since 7th grade and she is truly one of the most genuine, outgoing, spontanious, caring, down to earth girls I have ever had the pleasure of knowing. good luck sweetie I love u!!! Lauren! She is such an amazing person! Thanks for picking your favorite! Choosey ka Marky ha! I will wait for that pm :) You can also vote and campaign for your favorite starting next week. She is as vibrant as the color Orange! She is creative and curious about everything on our beautiful planet! !Her photography is fabulous, her writing is inviting and her spirit is undeniable!!! I'll go for Madz on this one. Her words are inviting, makes me wanna hear more from her. She sounds sincere, for it is her heart I can hear speaking. Concise and well-written, not highfalutin. Looks like she's a good observant. innovative, imaginative and fresh! Lauren feels like a Sole/Soul/Sol sister to me - she's radiant! 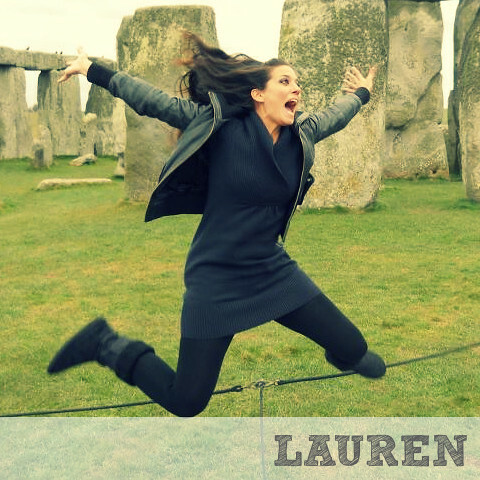 Lauren, she is full of life and adventure. Lauren! Hands down. She's the one. I have been great friends with here for many years now she is amazing. Wont find someone like Lauren. would be wrong not to pick her. She is full of life,ideas,talent. miss you love you be safe.hope you win. You have three amazing finalists. After thinking about it for some time, I must go with Lauren. If she's a teacher, she must be organized; she certainly looks to have enthusiasm and creativity. She's beautiful and multi-talented. All three would do a good job, but I feel as though Lauren would do a GREAT job as a sole sister. I do agree with someone that Medz is cute (reminds me of someone I knew here in Dubai), but travel content on her blog is very limited. It seems to be more concentrated on makeup etc. I'd generally go with Lauren, her style is more sole sisterly and lively, though her blog is rather graphics heavy and takes forever to load. Also more clear destination-wise links would be helpful, now everything seems to be concentrated on just one or two pages. If you want to promote the 'filipina' thing, and why filipinos should travel etc., but that unfortunately probably rules out Lauren. (she certainly doesn't look filipina! )But that aside, my choice would be Lauren, everything else considered. 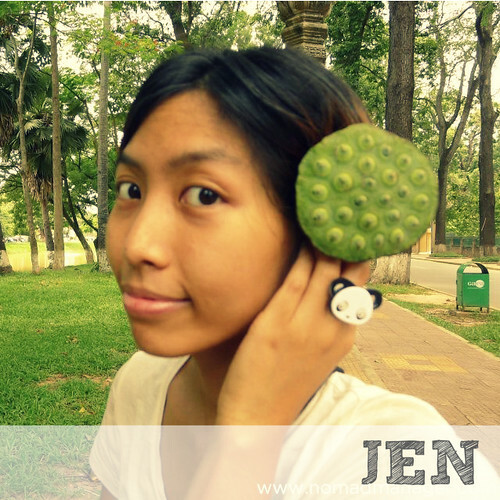 Jen is OK as well, and her site is more like wearesolesisters.com, so she would be an excellent second choice. I'm not very comfortable with agendas though: one promoting vegetarianism and one promoting make up. Lauren scores on that angle too. It could detract from the main purpose of wearesolesisters, wouldn't it? Just my gut feeling, and tuppence worth. (actually, I am registered with disqus, but my name will appear as shankie, so I've not signed in). Lauren seems the best of all! I think Lauren is the best of the best! Lauren looks like a real winner! They all seem like amazing young people but my pick is Lauren. Lauren! One of the greatest people I have met! OSK! Lauren!! :) she is the best and totally deserves it. With a photo like that... It's gotta be Lauren!! Lauren is super bright, super fun and beautiful to boot. If a story has been told 100 times she will still find a new and better way to tell it. Life with Lauren is like a box of oranges - vibrant, zesty and perfectly rounded. Lauren, I love your passion for life, the world and the people in it. Your gifts and talents enable you to express that in all you do! Your my pick!! Aloha .. always! Lauren is one of the most unique people I have ever met, the first time I met her I just wanted to listen to her tell stories and play the accordion. She is extremely talented and I can't wait to follow her travels all over the world! Lauren is my pick without a doubt! My family and I always look forward to her many stories from her vast travels and adventures. Lauren is amazing and everyone who meets her feels the same. Her thirst for travel and breath-taking adventures make her the perfect person for this! Lauren! She's artistic, talented, and has an infectious passion for life and adventure. I love reading about her travels! Lauren !!!!!!!! She's crazy, funny and amazingly talented ! It's not been so long I met her but each time I met her, I felt lucky to be her friend ! I think she totally encompasses what you are looking for in a sole sister! Lauren has it all. Adventurous spirit, experience in international travels, a backpacker, English language fluency and proficiency, photography skills, looks, passion for travel, artistic, open-mindedness, exposure to international travelers. Lauren all the way. She definitely deserves it. I have known Lauren for a long time and cannot think of anyone more deserving of this honor. Absolutely no one. She is a talented and brilliant young lady, and will most assuredly bring joy and passion to all she encounters. 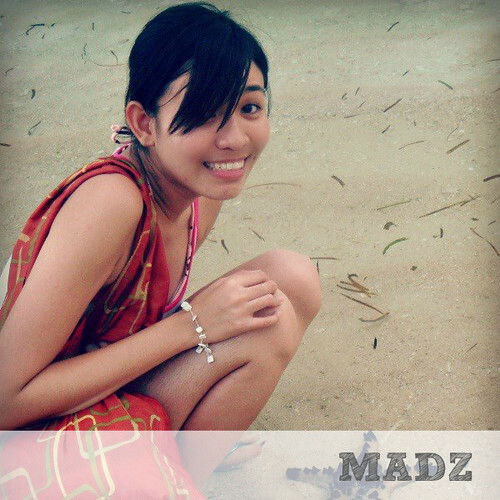 Madz!!! She isn't just another beauty but she's got it all, very intelligent, good- natured, sweet, passionate and brave. She loves life and everything it offers. Go Madz!!! All are amazing, but my vote is for Lauren. Lauren is great. Very talented. My vote is for her. Lauren! Love her spirit and sense of adventure. They all look like great candidates but Lauren is the standout! Hey Everybody! You can vote here! :D Just scroll down to the poll! Lauren for sure! She is adventurous, witty, and quirky, and has a unique outlook on life!